Everyone knows that sugar is bad for your health, but few people realize just how dangerous this all-too-common indulgence really is. Americans ingest record-breaking levels of sugar, with the average US citizen downing as much as 130 pounds worth of added sugars each and every year. Here are some of the reasons everyone should watch out for sugar, and what all of those extra treats could be doing to your body. Sugar consumption has been tied to a wide variety of different potentially fatal systemic illnesses, including heart disease, cancer, diabetes, and liver failure. In a nutshell, an overconsumption of sugar changes your body chemistry, which suppresses the immune system and allows certain illnesses to take over your body. The oral cavity contains more than 25 different varieties of bacteria, each designed to target different areas of your teeth. As these bacteria grow and multiply inside of your mouth, they produce acids that can erode away your enamel, creating cavities and causing dental infections. Unfortunately, these bacteria feed off of the simple sugars present in the foods that you eat, which is why limiting your sugar intake is vital for your oral health. 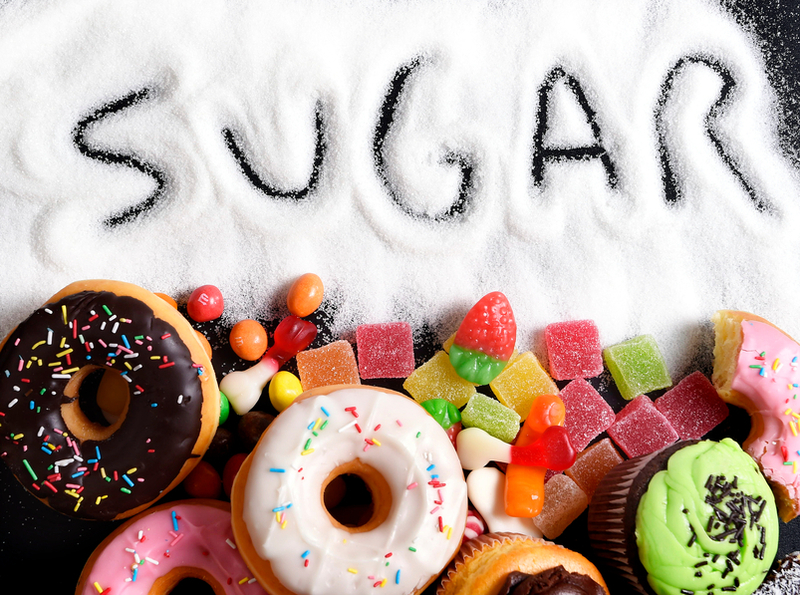 To find out how your sugar consumption has been affecting your teeth, contact your dentist in Scarsdale NY today. Known as some of the best dentists in Westchester, our team at Advanced Dentistry of Scarsdale can address your dental problems. When you eat sugar, your body responds by pumping up insulin levels to handle the chemical imbalance. Unfortunately, insulin blocks leptin, a hormone that is responsible for telling your brain that you are full. For this reason, and because of the fact that sugar is naturally high in calories, eating excessive levels of sugar has been shown to tremendously increase your chances for becoming obese. To limit your sugar intake, focus on limiting your sweets consumption each and every day. Stop drinking full-sugar juices and sodas, and never sprinkle extra sugar on things like oatmeal or cereal. To fend off sugar binges over holidays like Halloween, try to stock those sweets bowls with candies that other people like, but that you don’t particularly enjoy. For example, if you are more of a chocoholic, offer trick-or-treaters or other visitors chewy fruit candies instead. That way, you won’t be as tempted, but you can still grab a sugary snack when you are having a serious craving. No one expects you to give up sugar entirely. But limiting your intake, even a little, has a major positive effect on your health. For more advice on how you can keep your diet healthy for your teeth and body, contact Advanced Dentistry of Scarsdale today!